On January 28th, 2012, Canada lost one of its premier contemporary dancers, Ken Roy, after a year-long battle with cancer. The forty-eight-year-old is being remembered by Canada’s dance community as a great dancer, an artist and a friend, and for his intensity, passion and generosity. Originally from Nova Scotia, Roy began his career with Le Groupe de la Place Royale in Ottawa. He went on to perform in over thirty productions and six films dancing in the works of Jean-Pierre Perreault, Louise Bédard, Daniel Léveillé and Sylvain Émard, among others. 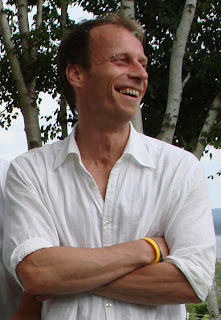 Roy shared his experience and knowledge of contemporary dance as a teacher for nearly twenty years, including seven years at Concordia University. His colleagues and students at the university attempted to describe the mark Roy has left on them: “The impact Ken had on the people he met and the emptiness he leaves in our hearts goes beyond what can be communicated with words.” A tribute to Roy’s career will be held this spring, organized by members of the Montréal dance community.